From humble beginnings as an apartment painter and maintenance provider through college, to managing, owning, and brokering multifamily properties in the decades since, I have been in the apartment industry my entire adult life. Currently, as a Broker specializing exclusively on multifamily properties, I represent my clients by marketing and negotiating property dispositions to maximize sale proceeds, and sourcing purchase opportunities to maximize investment returns. In every endeavor, it’s apparent to all who know me that I hold true to the principle of being a fiduciary: putting my client’s interest and needs above my own. 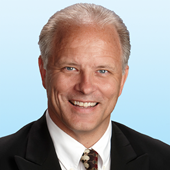 I am a partner in Colliers Sacramento Apartment Advisory Team. My team’s consultative approach to commercial real estate is entirely client-centric, consisting of developing and executing strategies in accordance with our client’s objectives. During my 25+ year career I have been involved in the research, asset management and sales of primarily institutional apartment properties located throughout the United States. My extensive sales track record, coupled with a background in quantitative analysis and real estate finance, affords me the requisite skills to assist you in achieving both your short-term and long-term investment goals. My role as a Partner in the Apartment Advisory Team (“AAT”) is to provide underwriting analysis, market knowledge, and due diligence processing to each of the transactions that AAT facilitates. Immersing myself in the market, I dedicate time each day to researching the national and local multifamily sector. Speaking with local owners and managers in our market, and staying up-to-date on prominent issues such as interest rates, rent control, and cap rates, provides me with the breadth and depth of market knowledge to help you make good business decisions. Whether its satisfying exchange or debt needs, expanding a portfolio, or realigning assets to suit business goals, I leverage all available resources to achieve success for my clients. I invite you to read a case study about Somerfield Apartment Homes where my team and I took a boots-on-the-ground approach to solve a complex challenge (linked below). Outside of Colliers you can find me officiating high school and youth football where I am able to exercise my attention to detail and participate in a sport that I love. As a member of the Apartment Advisory Team of Colliers International Sacramento, my time is spent serving our current clients, analyzing market data for our current and prospective clients and prospecting for new clients. My constant thought is to provide service second to none, to always add value, and to exceed our client’s expectations. As the granddaughter of J.R. Parrish, the Founder of what is now Colliers Silicon Valley, Central Valley, East Bay, and Nevada offices, I have deep roots in Commercial Real Estate. My grandfather has instilled in me the values he used to build his company and we still talk on a regular basis about the business. I’m regarded as extremely loyal, a person who’s word is her bond, someone always willing to go more than halfway to help make deals, a strong communicator, hard worker, very dependable, a person who always has a positive attitude and someone you can take to the bank. I have a passion for travel and have traveled to twenty-three countries and enjoy any opportunity to learn about other cultures.